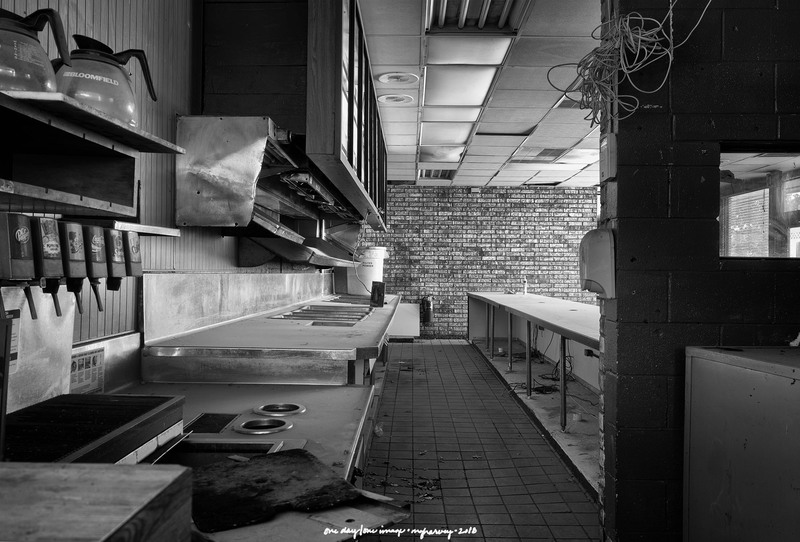 A food prep line, a tangle of cables, and a soda machine: the empty restaurant. Posted on August 19, 2018, in Photography and tagged 365 photo project, abandoned buildings, black and white photography, learning to see, Leica, lubbock, lubbock texas, melinda green harvey, monochrome, one day one image, photo a day, photography, postaday, texas, thoughtful seeing, travel photography. Bookmark the permalink. 2 Comments. What scenes of pandomaniam, smells, but final deliciousness bring to my mind.